American politics is a pretty interesting place these days, with candidates such as Hillary Clinton and Donald Trump posturing themselves as the most viable leaders for their respective parties during this presidential election year. As that all is going on, the world is filled with threats, wars, terrorists, environmental calamities, and other perils to fill both the pages of newspapers and the nightmares of the broader populace at large. What the world needs is a diplomat and Eric LaMont Gregory is here to help. The international diplomat, now living in St. Albert, has just published a new book on American foreign policy and how the actions of today will beget repercussions in the future. The Ultimate Vanishing Act is a dense tome but rich with insights from a man with more than four decades of experience in negotiating and mediating political battles between two sides of a fight. His acumen is only matched by his no-nonsense voice of reason. According to him, this career started by accident. He was studying in Israel during his junior year, a time that coincided with the Six-Day War. “The universities were closed. A lot of the students returned to the United States. I stayed. I figured that if all the soldiers were leaving the kibbutzim to fight the war then I’d go on to the kibbutzim. Of course, my Hebrew improved …” he noted with a joke. Experienced as a world-class clinical physiologist, he also once worked with the WHO on a project on neonatal mortality. His efforts with that had him travel around the world to see the problems on the frontline. He saw lots of other things too. Such conflicts obviously limited his abilities to conduct studies, leading him to communicate with different countries’ leaders, prompting them to seek peace for the health of their citizens. Eventually, he became a mediator between warring groups and governments, marking the start of his role as a de facto diplomat. His resume tells everything. He personally intervened in the Kurdish uprising in Afghanistan after 9/11 and also worked to end the decades-long civil war in Angola. He was in Bosnia, Rwanda (both before and after the genocide), in Honduras after Hurricane Mitch, and other parts of Central America during the Contra death squad era. Gregory witnessed two famines in Ethiopia and conflicts throughout all four corners of Africa, not to mention the Middle East, and all over Asia. All tolled, he has stepped foot in more than 100 countries and has always come back wanting to help more. With all of his tact and insight, one might be curious about his own political intentions. Four years ago, he made his first attempt to become an elected figure in Ohio, managing to win more than 50,000 votes to become a senator but eventually lost the campaign. He had considered another run this year but decided to wait until 2020, maybe even to enter that year’s race for the presidency. In the meantime, he entreated the Harper government to become a world leader in the delivery of international emergency aid and humanitarian assistance, both of which he says are keys toward co-operation between states. He noted that he has already contacted Prime Minister Justin Trudeau in hopes of a better response from the federal Liberal government. He calls America’s Democratic leadership under Obama the start of a social sea change but that it would still be a while before his country has the diversity that this one does. ​Eric LaMont Gregory, an Oxford-educated diplomat, scientist and author, for more than four decades operated in the highly secretive corridors of the upper chambers of international intrigue and power. The Ultimate Vanishing Act reveals how different the Middle East, Central, South and South East Asia, North Africa, Europe as well as the Americas would be today, had it not been for some rather monumental errors emanating not only from Washington, London, Paris, Berlin, Brussels and other European capitals, but also from Moscow, Beijing as well as Tokyo and New Delhi. 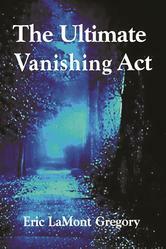 The Ultimate Vanishing Act is a must read book for anyone who wants to understand current world events, and the onset and the assiduous surge of radical Islamic terrorism and insurgency on a global scale.